I have been compensated by HSN to share my experience using the Strivectin line. I chose the products that most interested me and am excited to talk about my results and thoughts on them! All thoughts and opinions are my own. If you make a purchase through my links, I will receive a small commission. 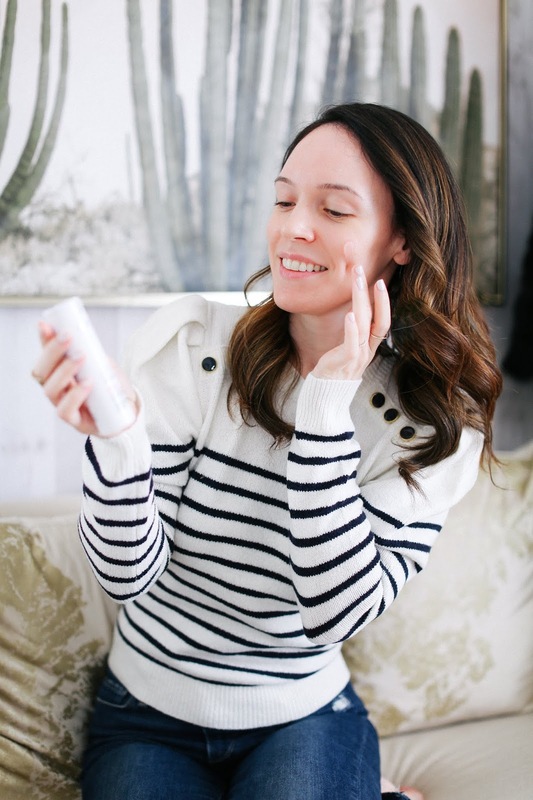 Skincare is something I always prioritize but especially in the winter, my skin needs the extra comfort and pampering. 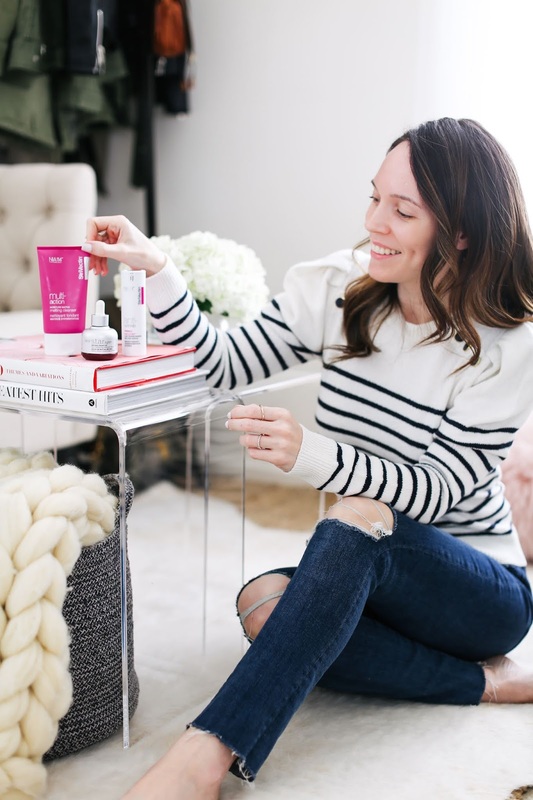 I especially love adding retinols back into my routine because I'm not in the sun as much and I can focus on evening out the look of my complexion. 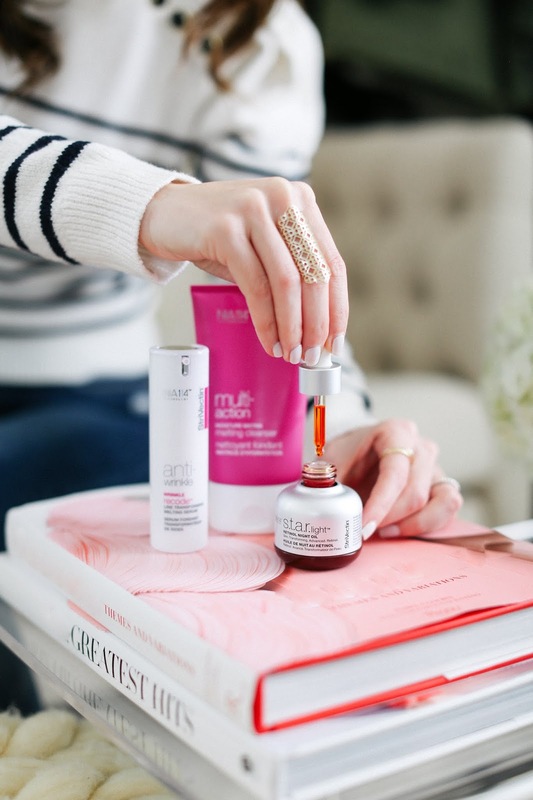 I have had the Strivectin S.T.A.R Retinol Night Oil on my wish list to try because I heard so many great things and am excited to finally try it! 1. 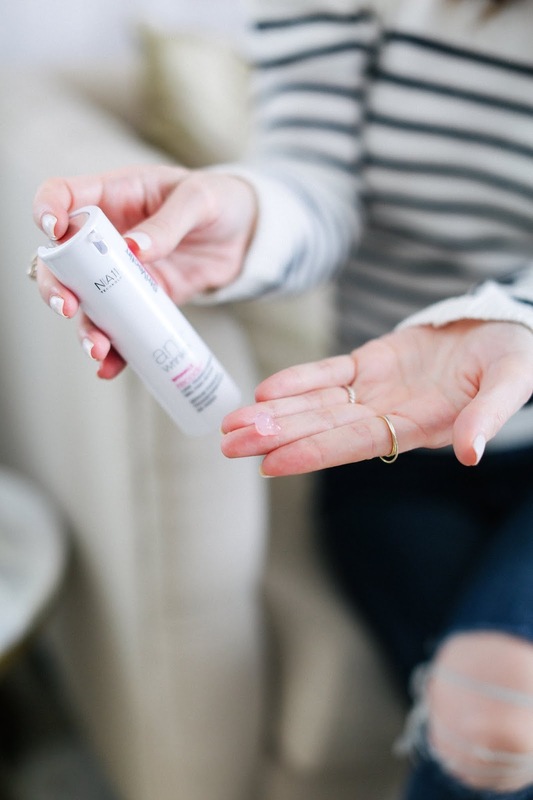 Strivectin Moisture Matrix Melting Cleanser - I'm a huge cleanser lover so this was the first product that I had to try as soon as the products arrived at my house. The term melting cleanser is the perfect way to describe the texture as it is a creamy gel when first applied, then breaks down to an oil and turns to a milk when water is added. It removes makeup easily and leaves my skin feeling smooth and hydrated which has been wonderful now that the weather is so cold. The key to using this is massaging it into the skin until the texture breaks down into an oil. That is when the magic happens and all the dirt and makeup is easily removed. 2. 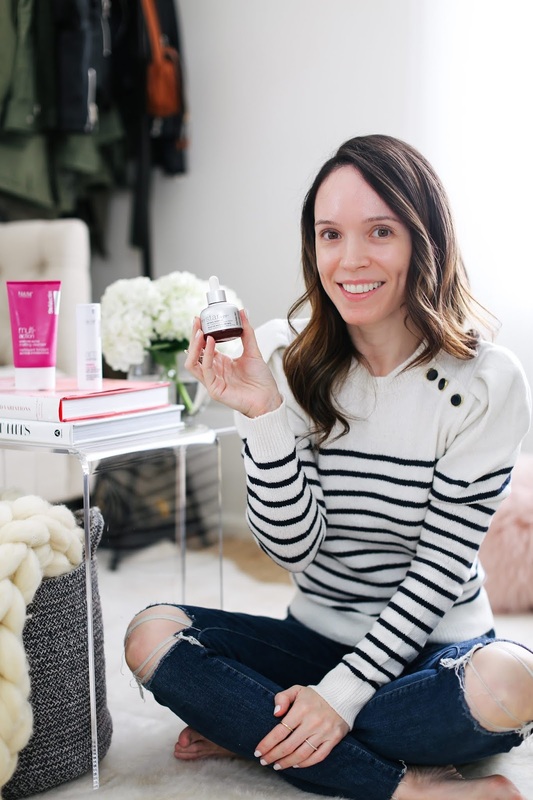 Strivectin S.T.A.R Light Retinol Night Oil - After falling in love with the Melting Cleanser, I was anxious to try this face oil after hearing so many great things about it. The first thing to stand out to me was the texture - it's a dry oil and doesn't feel greasy at all! It's formulated with squalane oil which does wonders as helping moisturize the skin. The Night Oil is also designed to target the look of uneven skin tone, wrinkles and texture. It's lightweight and easy to layer over any serum or moisturizer, though it is also great to wear alone after cleansing. The first result I saw shortly after adding this into my routine was a reduction in the look of texture. The Night Oil paired with the Line Transforming Serum is an amazing combination for the evening. My complexion has continued to look even after a few weeks of using this Night Oil. I prefer to use it 3-4x/week and so far have not experienced any irritation! 3. Strivectin Wrinkle Recode Line Transforming Serum - Normally I anticipate serums to be thin and watery, so I was quite surprised with the thicker consistency of the Line Transforming serum. It's designed to target the look of fine lines and wrinkles while also helping the skin maintain moisture. The texture has some slip to it and made my skin look smoother almost instantly. I saw such a remarkable difference that I began using it in my morning routine under my makeup because it wears beautifully under foundation. At the end of the day, my skin still feels well hydrated and the lines around my eyes that normally begin to show are hardly visible. This is the perfect addition to a winter skincare routine. 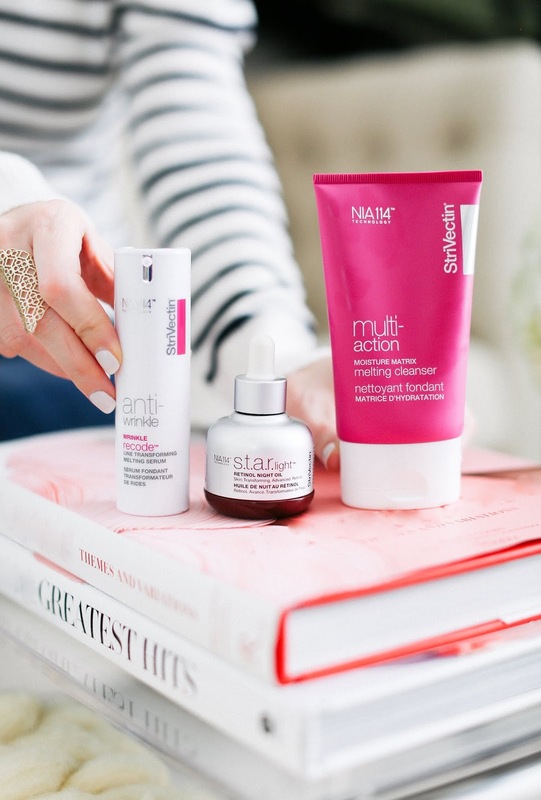 You can shop all three of these Strivectin products on HSN as well as the rest of the Strivectin line. There are also great value sets available which allow you to test a few products before committing to the full size (this introductory set features all their hero products! ), as well as payment plan options so you can pay for the products in installments. I rounded up a few other Strivectin products that appealed to me so be sure to scroll through the widget below.